M. is my boutique event design studio specializing in sustainable elements including local flowers, plants, handmade & antique props, furniture, lighting, and custom signs and paper goods. 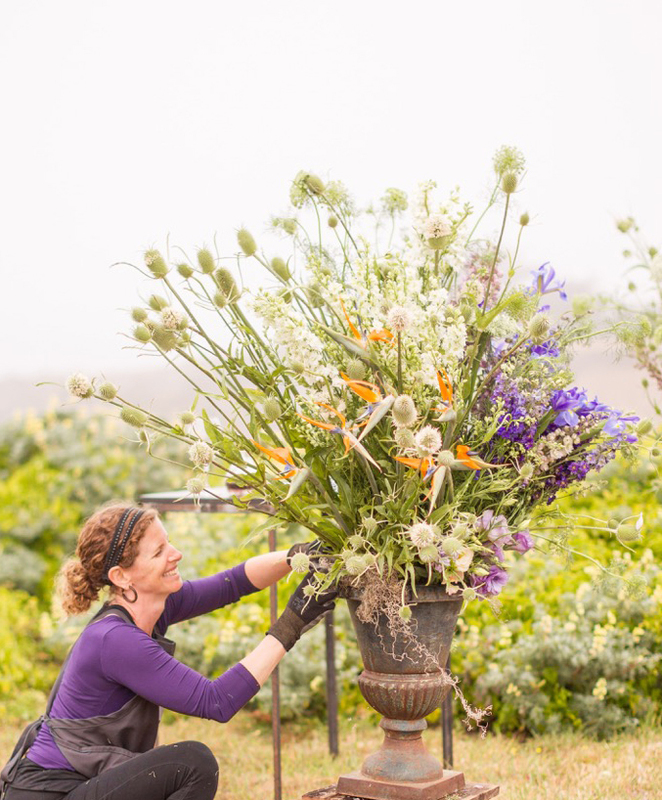 Based just outside of beautiful San Francisco, I design events all over the bay area. I’m an event stylist, so anything you see at a party is something that I like to be a part of. From fine paper details to an elegant bridal bouquet to a custom ceremony structure... my goal is to create a warm stunning effortless environment that speaks about you. While I love to create, I also love consulting for what the big picture looks like. This means helping you make the decisions that make your event unique and cohesive: choosing gorgeous details for your place settings, the right furniture for your lounge, or the perfect placement for your bar. I’m a naturalist that grew up in North Carolina gardening and exploring the woods. I love collecting unusual pieces from nature and creating elegant things out of the unexpected. With a BFA in sculpture and a degree in botany, my studies continue to influence my work. It is such a joy to create beautiful environments by making sculpture and installations out of botanicals, found objects, light, and furnishings.